They mention in the article that the US cars are governed to 250 kh/hr, but this isn't true. They also mention the transmission reprogramming will hurt 0-100 km/hr times, but this has actually be found to be wrong. 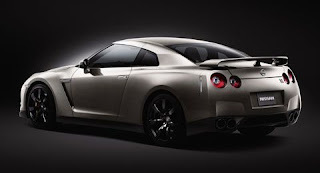 Nissan may actually lower its official 0-60 mph time to 3.3 seconds if what Kris over at GT-R Blog is saying is correct. One thing the Australian cars don't get is satellite navigation. Interesting. I wonder why its not offered in Australia ? 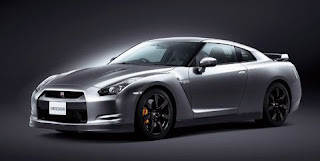 As we mentioned late last year, Australian-delivered R35 GT-Rs will be available in two guises: base, and Premium. The base model GT-R gets heated leather seats in the front, a six-speaker AM/FM/CD system with 9.3Gb hard drive storage and a quartet of Dunlop’s super-sticky SP Sport 600 tyres as standard. The Premium adds an 11-speaker Bose stereo system, exclusive leather seats, black wheels and Bridgestone Potenza RE070Rs in lieu of the base model’s Dunlops.